1996 while in high school; together with some friends they formed a group called the CBM crew. "We recorded our first album and released it in the year 2000," says AY. When CBM crew split up, AY went solo in 2001 and recorded his first song titled 'Kila Siku' at Sound Crafters Studio in Dar es Salaam. His effort culminated in the production of the album 'Raha Kamili' (Pure Joy) two years later. The first single 'Raha Tu' was a huge success as it topped local charts both on radio and TV. This was also an introduction of the arrival of a new kid on the bloc. The second single 'Machoni Kama Watu' featuring Lady Jay D was equally a success as it helped boost album sales. At that time he also joined the rap group East Coast Team and starred alongside other famous rappers Mohamed Khalid (TID), Gwamaka Kaihula (Crazy GK) and Jay Moe in the most successful hip hop movie titled 'Girl Friend', a film about life and music that was directed by George Otieno 'Tyson'. 'Raha Kamili', was followed by a period of silence that many actually thought he had descended into oblivion that had characterised the careers of most new acts at the time. In 2005 as his fans were still brooding over what had happened, he dropped a second album, 'Hisia Zangu' (My Feelings) with the first single 'Yule' topping charts in East Africa. AY had gone for regional appeal in his music as it featured many collaborations with some of the region's best. "In that album I collaborated with East African artistes like Prezzo,Tattuu and Deux Vultures from Kenya and Ugandan R&B crooner Maurice Kirya," he says. 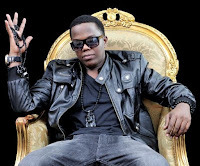 The second single 'Binadamu' (Human Being) turned out to be a huge hit in East Africa and was nominated for a Kora Awards in 2005, making AY the first Tanzanian male artiste to be nominated for the award. His other tracks 'Kutoka kwa AY', 'Mademu Wote', 'Usinijaribu' and 'Nipe Nikupe' have also been on regular TV and Radio rotation. AY's popularity soared in East Africa and as he established himself as a top artiste in the region. In 2006 he sealed an endorsement deal with 'Konyagi' one of the top selling liquors in Tanzania. The endorsement deal opened more doors in the corporate world as commercials from different companies like Coca-Cola, Vodacom, Celtel (Now Zain) and Kilimanjaro Premium Lager started to flow in including regional ones like the Uganda Waragi deal. AY himself has also helped fellow musicians secure commercials. He has assisted Marlaw, the singer of ‘Pii Pii’ and Mr Blue of “Tabasam” voice commercials for Zain Tanzania and Vodacom respectively. “I help others get deals. Mr Blue and Marlaw are the latest that I’ve given deals; but it goes beyond commercials, “said the singer, who is also involved in preparing commercials. More albums and collaborations from the likes of Uganda's Chameleon and Ngoni, and Kenya's Amani, Nameless, Juacali and Sauti Sol were to follow. He also received a seal of approval from great artistes like Akon, who has repeatedly acknowledged AY's music and is particularly impressed by his style and sees him as the next rap artiste from Africa to make it internationally. His appeal too has earned him jigs in Rwanda, Burundi, United Arab Emirates, South Africa, United States of America, Ethiopia, the United Kingdom and Malaysia. The biggest jig came in December 2008, at the launch of his third album, 'Habari Ndio Hiyo' where American artistes Fat Joe, Eve and Shaggy were invited for a performance at the Gymkhana grounds under the auspices of the Tanzania Cigarette Company. His hit 'Leo' that was produced by Hermy B at the B.Hitz Studios in the city earned him the MTV nomination. AY is among the few Tanzanian Hip Hop artists who have invested in various businesses. Apart from various clothing stores in Dar-es-Salaam also the owns of Mikasi show, a famous Swahili television show on DStv. He leads Unity Entertainment as the CEO, where he oversees all the operations of his company. AY is not a stranger to the big stage, having been nominated for MAMA awards in the Best Hip Hop category. However, his first nomination came in 2005, in the Best Male Artiste East and Central Africa category at the Kora Awards for the single 'Binadamu'. This was followed in 2007 with the Kilimanjaro Music Award for Best Hip Hop single and Kisima Music Award in Kenya for Best Music Video -Tanzania. He was honoured with the Pearl of Africa Music (PAM) Best Hip Hop single award in the same year. The same feat was repeated in 2008 where he received a Kilimanjaro Music Award for Best Collaboration and a PAM award for Best Male Artiste -Tanzania.